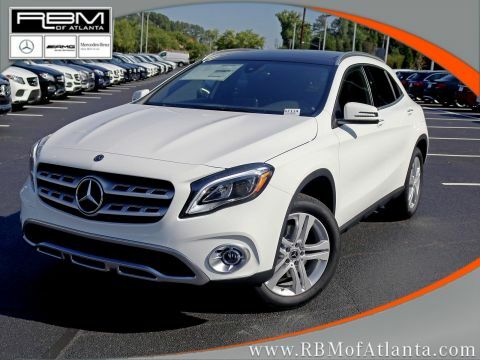 WHEELS: 18 TWIN 5-SPOKE ALLOY, WHEEL LOCKS, SMARTPHONE INTEGRATION -inc: Android Auto, Apple CarPlay, Smartphone Integration (14U), PANORAMA SUNROOF, NIGHT BLACK, HEATED FRONT SEATS, FULL LED HEADLAMPS, CONVENIENCE PACKAGE -inc: Garage Door Opener, Auto-Dimming Rearview & Driver-Side Mirrors, COMPASS -inc: Display in rearview mirror,, BLIND SPOT ASSIST. 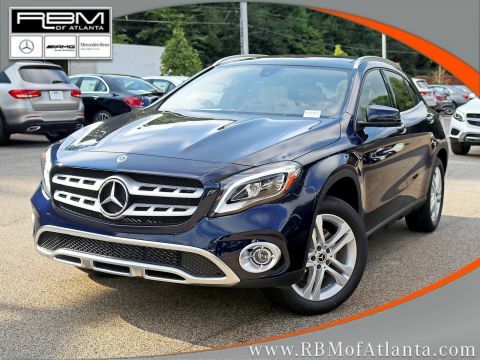 This Mercedes-Benz GLA has a dependable Intercooled Turbo Premium Unleaded I-4 2.0 L/121 engine powering this Automatic transmission. 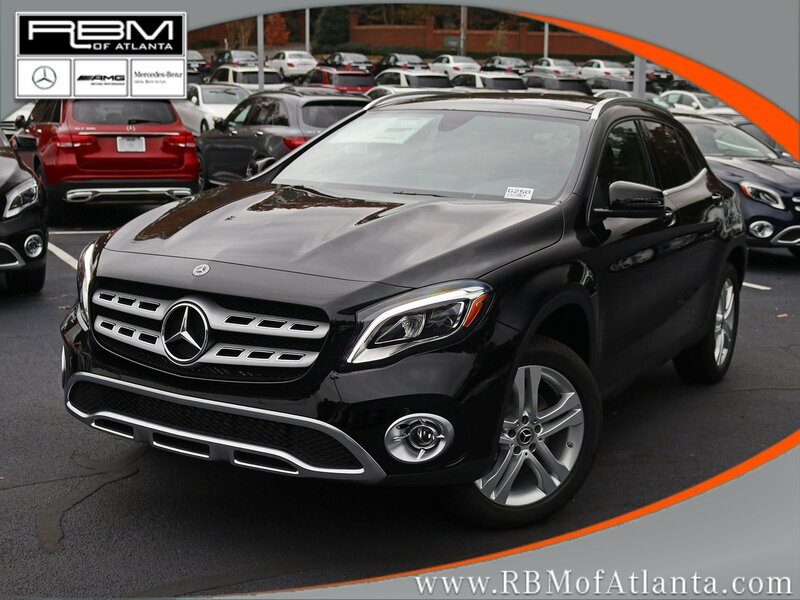 *This Mercedes-Benz GLA GLA 250 Has Everything You Want *BLACK HEADLINER, BLACK ASH MATTE WOOD TRIM, AMBIENT LIGHTING (12 COLORS), Window Grid Antenna, Urethane Gear Shift Knob, Trunk/Hatch Auto-Latch, Trip Computer, Transmission: 7-Speed DCT Dual-Clutch Automatic -inc: touch shift, Eco and Sport shift program, Tires: 235/50R18 All-Season, Tire Specific Low Tire Pressure Warning, Systems Monitor, Strut Front Suspension w/Coil Springs, Streaming Audio, Smart Device Integration, Single CD Player, Side Impact Beams, Roof Rack Rails Only, Rigid Cargo Cover, Remote Releases -Inc: Power Cargo Access, Remote Keyless Entry w/Integrated Key Transmitter, 4 Door Curb/Courtesy, Illuminated Entry and Panic Button. 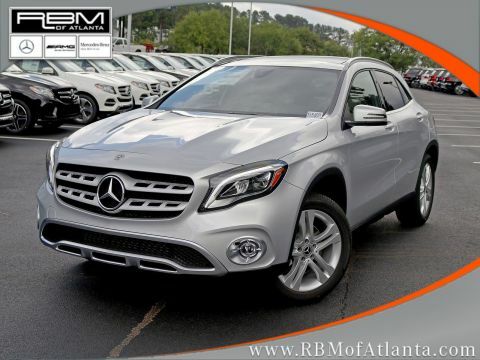 * Visit Us Today *Live a little- stop by RBM of Atlanta located at 7640 Roswell Road, Atlanta, GA 30350 to make this car yours today!